Sometimes, it seems like the foods that taste the best are also the ones that contain the most fat, sugar and cholesterol. And, if you’re trying to eat healthier, you might think you have to give those foods up. But you don’t have to give up your favorite dishes and desserts. Here are some recipe substitutions you can use to make your favorite foods a bit healthier. The quickest way to replace sugar in any recipe is by using a sugar substitute instead. Stevia, an all natural sweetener, is one great option, especially for the calorie conscious. While a cup of sugar contains nearly 800 calories, a cup of stevia zero calories! That’s pretty hard to beat. Unfortunately, stevia can be a little pricier than sugar. But if you want to decrease your sugar intake but still indulge your sweet tooth, the extra cost might seem worth it. Stevia is also 300 times sweeter than sugar, which means you can’t necessarily replace a cup of sugar with a cup of stevia and expect a dessert to have the same amount of sweetness. When making a dessert with stevia for the first time, you might have to experiment a little to see how much stevia you’ll need to get the taste you want. Unsweetened applesauce is another way to decrease the amount of sugar in cakes, cookies and other baked goods. Just cut the amount of sugar in the recipe by half, and replace the missing sugar with unsweetened applesauce. So if your recipe calls for 2 cups of sugar, you’d use 1 cup of sugar and 1 cup of unsweetened applesauce instead. 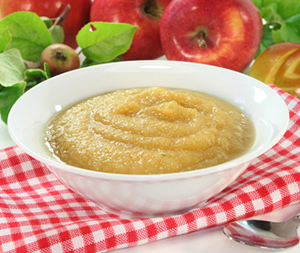 Using applesauce can drastically cut the calories in a dish. While a cup of sugar contains nearly 800 calories, a cup of applesauce only contains 100 calories. If you don’t have unsweetened applesauce, use vanilla extract instead. When making cakes, cookies or bread, cut the amount of sugar in half, and add a teaspoon of vanilla extract. The vanilla will enhance the sweetness of the dessert, and using less sugar means fewer calories. Some of your favorite recipes probably use butter. Unfortunately, butter tends to contain a lot of fat, salt, and cholesterol. Luckily, with these butter alternatives, you can cut the amount of butter in your diet and still enjoy many of your favorite foods. You can use unsweetened applesauce to replace half of the butter or margarine in sweet breads, cakes, muffins, or even cookies. The applesauce will not only make the desserts healthier, it can also make them moister. 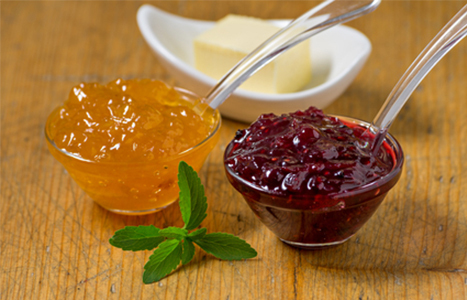 There are actually many fruits you can use as an alternative to butter in baked goods. Avocado puree works well in chocolate desserts, like fudge brownies. And mashed bananas can be used to replace the butter in just about any baked goods you can name, including breads. If you’re looking for savory alternatives to butter or margarine, try non-stick cooking spray. You can use it when cooking eggs, and sautéing beef, chicken or fish. And if you simply must have that butter flavor, you can try a butter-flavored non-stick cooking spray. Whole wheat flour is the obvious alternative to white flour. Whole wheat flour contains more fiber, protein, and other nutrients than white flour, making wheat flour the healthier choice. If you’re used to using white flour, the flavor of dishes prepared with whole wheat flour can take a little get used to. But many end up preferring the taste and texture of goods made with whole wheat flour. 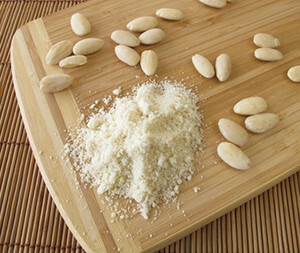 If you really can’t stand the taste of foods made with whole wheat flour, there are many other kinds of flour you can try, including almond flour, coconut flour, and soy flour. If you’re looking for a more unusual alternative to flour, try black bean puree. As strange as it might sound, black bean puree tastes great in cookies and brownies. Just replace a cup of flour with a can of black bean puree. When you taste a brownie made with black beans, you might be shocked by how good it tastes. Eggs are one of the most popular foods around. We eat them by themselves, and add them to our recipes. But eggs are high in cholesterol, so eating too many eggs isn’t exactly good for your health. But that doesn’t mean you have to stop eating or using eggs altogether. One way to reduce the cholesterol when using eggs is to leave out the yolks. Just use 2 egg yolks in place of a whole egg. If you like the taste of egg yolks, you can still reduce the calories in egg dishes. For example, in a dish that calls for 2 whole eggs, you can use 1 whole egg and 2 egg yolks instead. You still get the taste of egg yolks, but with fewer calories. If you don’t feel like separating eggs to make your breakfast scramble, you can use an egg substitute. There are some great tasting egg substitutes out there, and you can use them in just about any dish that calls for eggs.